The event was held in Aces and Ale’s banquet room, which is a nice, classy room just off of the main bar area. 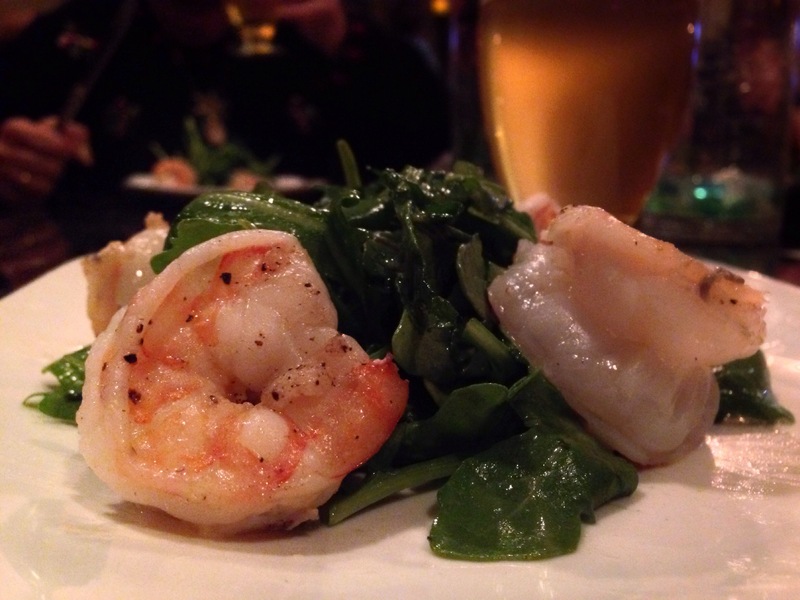 The peppery taste of the arugula paired well with the Belgian esters found in the saison. The arugula had a honey lime dressing, which matched the flavors in the beer perfectly. The shrimp was a great companion, with it’s mild grilled flavor. 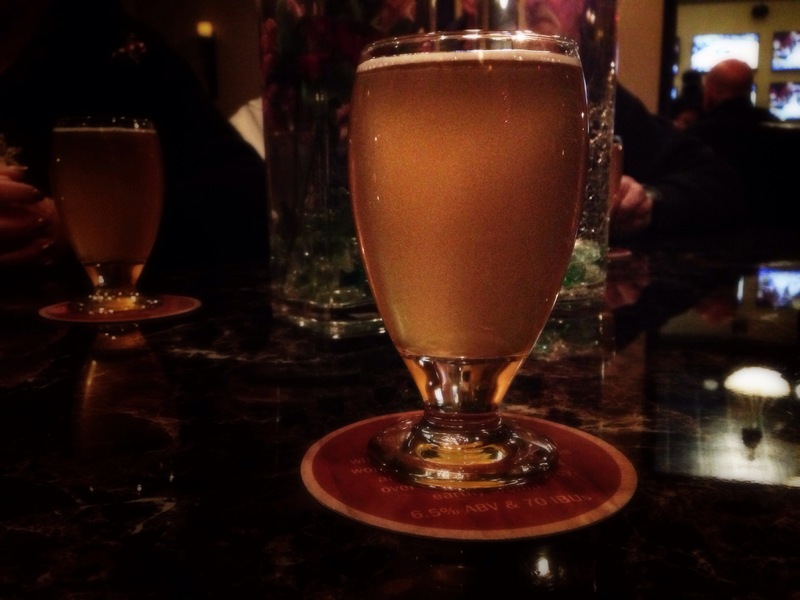 The saison had a light refreshing flavor with a lot of lime zest in the aftertaste. This was a great dish, that tasted a lot like Thanksgiving stuffing, which is a definite compliment! 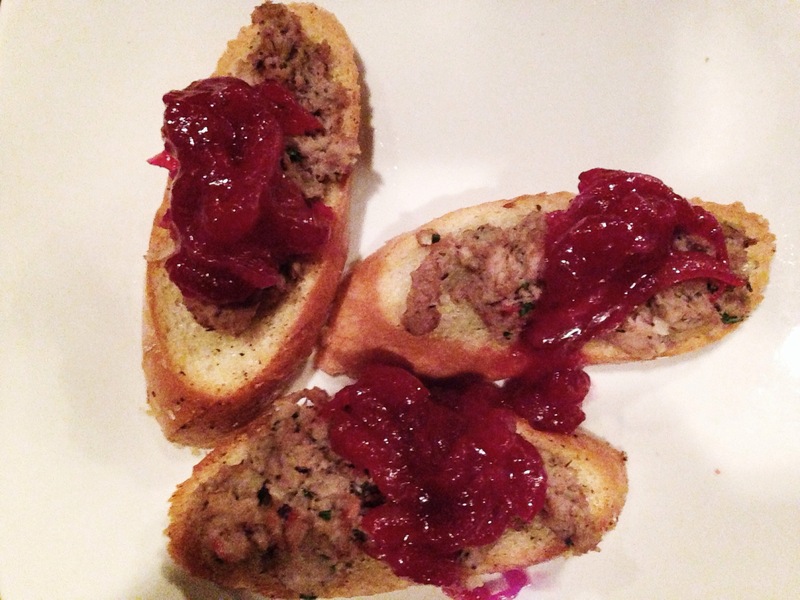 It was topped with caramelized onions and cranberry sauce, which matched well with the sweetness in the wit. The wit itself was your average wit, but had a ton of orange aroma with a pleasant orange flavor. The tenderloin was marinated in pineapple with a bit of honey, which gave it an incredible tangy flavor. The meat literally fell apart in your mouth with which each bite. Idiot IPA was a great beer to compliment this dish. 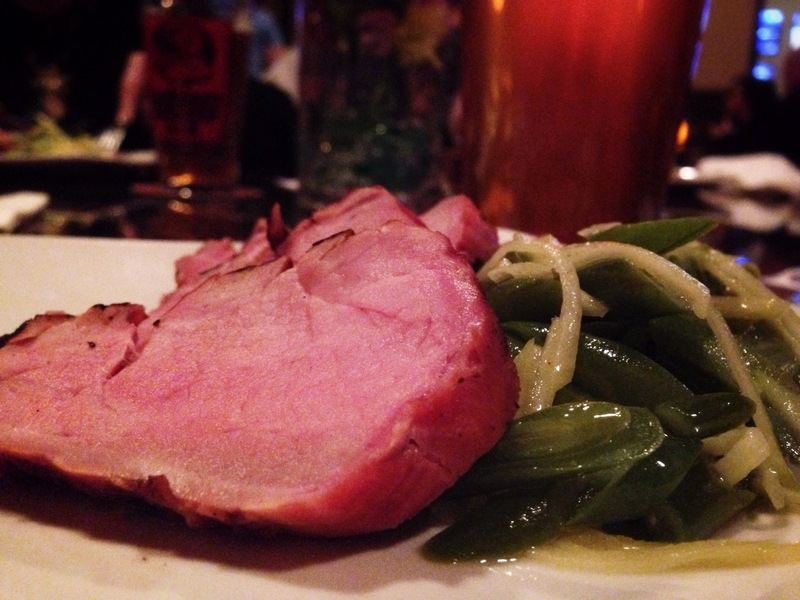 The hop character of the ale and tanginess of the meat were a perfect marriage. You really can’t go wrong when you pair an espresso seasoned dish with a coffee beer. When you smell this stout you immediately get hit with a huge coffee nose, akin to a freshly poured cup of coffee. The coffee was big in the flavor as well, and worked nicely with the subdued espresso flavor in the perfectly cooked tri-tip. 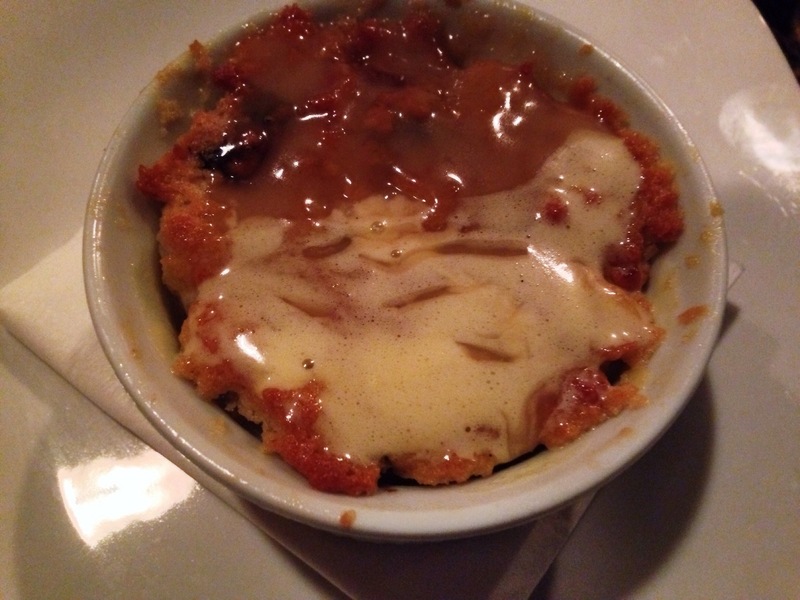 Not to be out done, the mashed potatoes were simply out of this world! 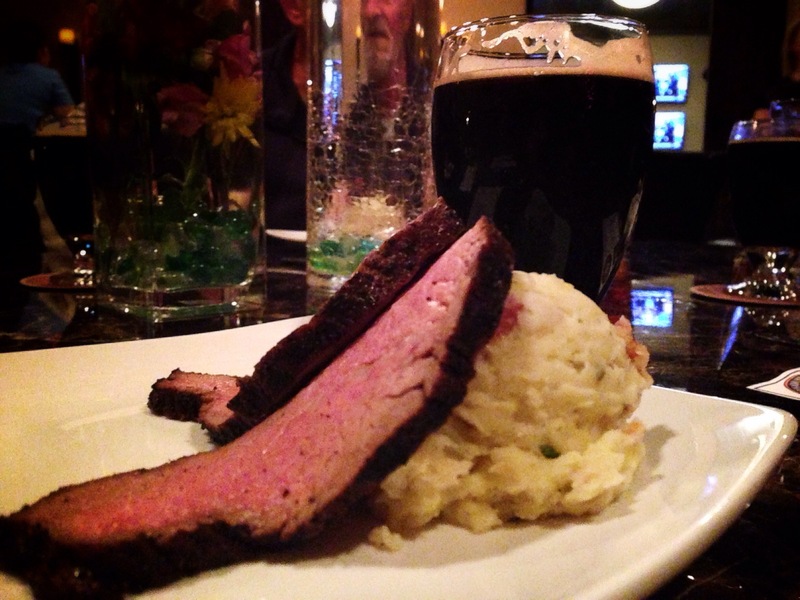 The bacon in the potatoes even went great with the smokiness of the stout. This was probably my favorite pairing of the whole night. The pudding and beer could not have possibly complimented each other better! Barley wines are known for their raisin and plum sweetness, making this a perfect pair for the stone fruit in the pudding. Combined, the two made for a wonderful dessert concoction. All in all, I can only rave about how great of an experience this dinner was. As good as the beer was, however, the food was the real standout of the evening. Every dish was perfectly cooked and just plain old delicious! My hat is off to the chef and brewer alike! 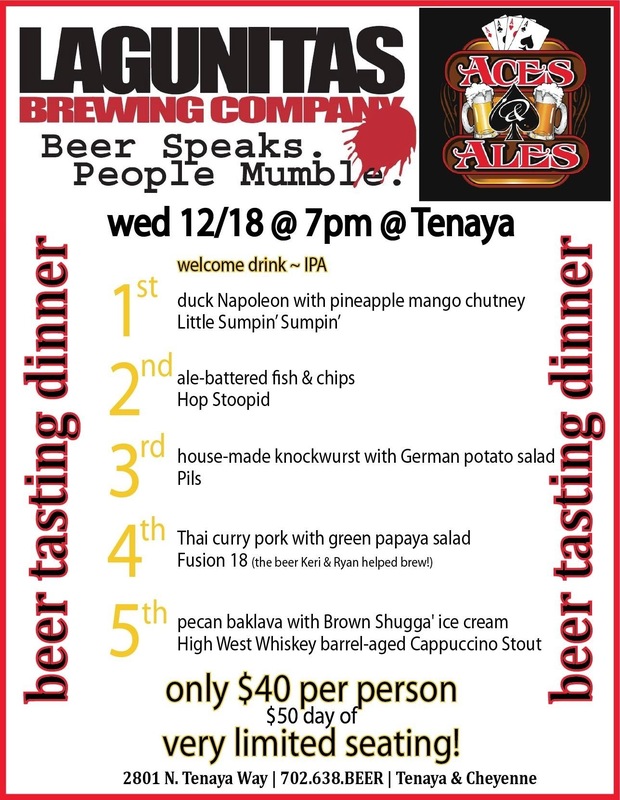 Check out Aces and Ales Tenaya on Facebook for info on their upcoming Lagunitas Beer Dinner. The price is only $40 for 5 courses and 5 beers.